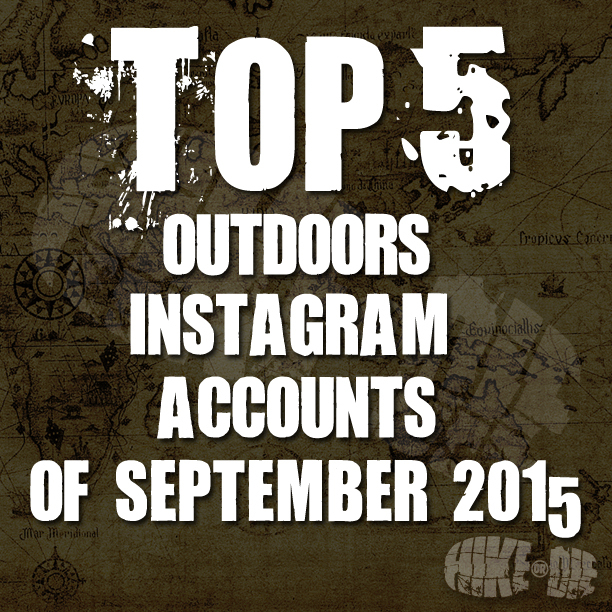 Each month I list the top 5 Outdoors Instagram accounts that have inspired me with stunning photography, interesting story-telling or both. This is the second month in a row that I’ve struggled to cull my list down to a Top 5. It seems that everyone has been out in full swing getting some amazing outdoors photos of late. 1. Since I started following myalaskanlife earlier this year, it’s been nothing but inspiring. This photo in particular stirred up some emotions within me. From the winding river to the mountain peaks, it immediately made me want to be there experiencing it for myself. Listening to the water and wildlife and watching the clouds sweep around those peaks. Pure perfection. This account is a serious “must follow”. Check it out. 2. Throughout this month survivingken dropped several great photos making it really hard for me to decide which one to feature. I finally chose this shot because it reminded me of a recent hike I did along The Overland Track in Tasmania, Australia. The rock formations and trees surrounding this lake make for a beautiful photograph. Nice work mate! 3. This epic shot was taken at Lake Louise, Alberta, Canada by nelepl. Every individual element is stunning. The water, the rocks, the forest, the mountains and the clouds. All those things together, plus the amazing colours and perfect stillness create an incredibly beautiful scene which has been brilliantly captured. 4. To be honest, Jean-Pierre Brunel (jp_brunel) can’t really take a bad photo. It’s just that he takes really, really good ones that stop my scrolling in it’s tracks. In this photograph, taken on dusk at the Garden of Eden in Arches National Park, Utah, he has captured the incredible colours of the desert in all their glory. It’s really something special. 5. This epic photo was captured by traveltim at Old Man or Storr, Isle of Skye, Scotland. The looming storm clouds frame such a rugged landscape of rock shards that are complimented by the lush, green grass that rolls across the ridges below. It certainly made me think of the rich history that no doubt exists in that area. Great shot. Well that wraps up my top 5 for this month on Instagram. Check out @hikeordie and follow our journey too. We’ll also let you know when the next Top 5 is posted.